Among the tall trees, deep in the forest, was hidden a beautiful white building. Its thick walls were built with marble. It's windows had wooden sills of the finest walnut. It had three floors. 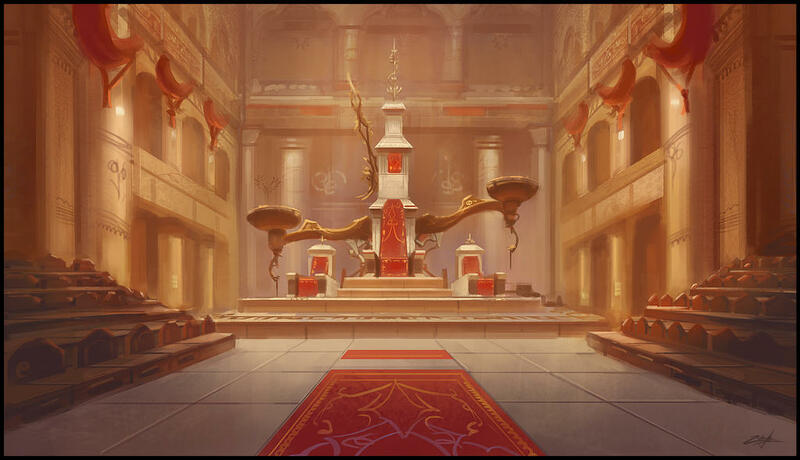 On the first one were the kitchen, the dinning room and the throne room, where the queen and king held the clan meetings. On the second floor were the bedrooms of the clan members, including those to the prince and princess. There is also a small balcony which reviels a beautiful view to the front of the mansion. On the last floor were the personal bedrooms of the clan leaders and their common one. It also has a balcony to the front, but unlike the one on the second floor, it's bigger. No one is allowed to enter the floor without the leaders' permision. The walls of the mansion were wrapped in ivy, and the terraces decorated with fresh flowers. Tempest was tired from their long journey to this new town. She hated in the first place that they had to move, and it was all thanks to the girl named Aceline. She didnt like the girl and had no plans to forgive her any time soon. She headed upstairs to her room finished unpacking the small bag that she had brought with her. Then she called out to her mate Dylan. "Dylan, i want to go check out the town when you are done putting your things away. Are you free." She thought about her and Dylan, she loved him. And her sister didnt object to their relationship but her brother had been a different story. She really didnt know how he felt about the situation. She didnt know what wasnt to like about Dylan, he was handsome, kind, a great warrior, and a war strategist. Dylan dragged his suitcase behind him as he trudged up to the mansion, his face sullen and set in stone as his tired muscles screamed at him. Pushing his way through the large oak doors of the Clan's new home the vampire let out a disgruntled huff as his gaze landed on the set of stairs that led upwards towards the sleeping quarters. Stealing himself for a moment Dylan began to make the assent, cursing softly under his breath as he hauled his belongings up and up. "Stupid… Stairs…" He grumbled. Finally reaching his room Dylan slumped onto the bed with a grateful sigh, spreading out like a starfish and relishing the feeling as feeling slowly began to return to his limbs. He could have lied there all day, but as the melodic sound of his mate's voice reached his ears he peeled himself from the bed and gave a sour glance towards his luggage. Unpacking… Ugh, such a bore. I'm sure it can wait until later. He thought. Procrastinating would get him nowhere, he knew that, but the thought of sorting his clothes into orderly piles and stashing them away neatly brought an instant yawn to his lips. "I'm coming now." He called back to Tempest as he exited his room and wandered down the corridor. 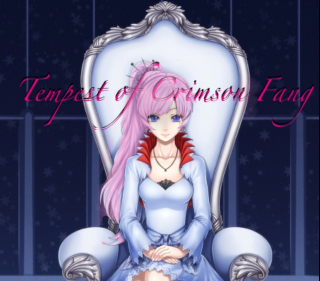 Tempest walked out her room. She hated the fact that her and Dylan weren't able to share a room. Since the King, aka her brother didn't approve of Dylan as her mate or the prince of the clan they weren't recognized as mates, nor could they create the mate bond that was so special. She starting to slowly dislike her brother more and more. She didn't understand why he would do this to her. but she didn't care, she and Dylan were mates no matter what anyone said. Her face was in an angry scowl as she thought about these things. But she sighed and replaced her scowl with a smile as she met her mate in the middle of the corridor. "so care to explore the territory. And have so alone time." She said suggestively, as she trailed her fingers on his chest. Dylan wasn't really a fan of Casper's 'strategies', so he called them, to separate himself from Tempest at every available moment, but he saw no worthwhile reason to make a fuss about it. He still spent most of his free time with the Princess, and besides, complaining to the King would probably just rub him up the wrong way even more than he already was. Meeting Tempest half-way along the corridor he adorned his face with a broad smile. "Sounds good to me." He purred softly, eager to get away from the mansion before the others arrived and filled its corridors with noise and chatter. Casper was sitting in the wooden chair beside Aceline's bed. He was holding almost cold hand and watched her carefully. Her skin was pale and the look of her face lifeless. Her dark brown hair was covering the whole cushion and some little clumps - her face. She was breathing slowly and hardly. It has been so long since she opened her eyes. The king was afraid that he would lose her. And he couldn't let that happen. Casper's eyes landed on Ace's face as she moved her hand a little and slowly opened her eyes. They were tired and their deep blue colour was now even darkner. Her eyes were a little bit red and she had dark circles under them. She suffered and he new it but he could not do anything else but wait. The girl slowly tilted her head and looked at the king. She could barely smile but she did it. The yong man's eyes became a little bit waitery as he watched her in this condition. He got off his chair and sat on the bed beside her. He wrapped his palms around her hand and placed his lips on it. "Good morning my dear." he said and looked at her once again. Suddenly the door of the room slowly opened. It's been a month or less since the clan arrived into the new place. Ace knew that most of the members hated her and accused her for this disastrous event. She didn't blame them. It maybe was her fault. She shouldn't let that letter to her sister. But what was done couldn't be changed. Unfortunately, the dark haired girl was bit before the big travelling and got sick pretty quickly. She got weaker and weaker with every day and soon couldn't walk on her own. Aceline doubted that she would survive the desease, yet she fought as much as she could. The girl was lying in a bed. Her skin was pale like never before. She could hardly breath, yet she tried. She felt tired all the time and refused to eat, mostly because she had no apetite. Despite Casper and Aiden taking care of her, she did not got well. It was just a matter of time till the end comes. Ace knew that most of them will be glad, but she also knew who will actually suffer for her. The girl opened her deep blue eyes and slowly tilted her head. She looked at the king and barely smiled. It was nice to know that someone is always watching over you. She tried to nod when he greeted her, but could not. But as she tried to move at least a little, something else caught her attention. The creaky noise of an opening door. Tempest smiled and reached up and gave him a kiss on the cheek before she took his hand and pulled him down the stairs. "Is there some place you would like to go? There is the stream, the forest, or just outside in the clearing with the angel statue. I just need you to myself for awhile." She said giving him a wink. Eliza opened the door, baring her fangs at the creak. She wasn't sure if she liked the new mansion. "Another thing to fix..." She muttered. The vampress slipped inside the room, shutting the door behind her. Sighing, she looked at her brother and Ace. She noticed she looked unusually pale. -Is she going to make it...?- She wondered. It didn't look like it. -Unless Casper is being an idiot...- She thought. She quickly looked around his wrists and neck for bite marks. "Idiot!" She hissed at him. "Do you want to kill her? Did you forget how to turn someone? Mother taught us both, I can't believe you forgot this part!" She said, and walked towards him. Her eyes glowed red, and her hands were placed firmly on her hips. "I quote from mother, 'In order to successfully turn someone, the person who initially bit the human to begin the change must feed them their own blood. It kinda let's the disease know the vampire wants this person to change. If the human doesn't feed, it becomes almost impossible for them to survive, but it has happened.' Since she lived this long, the last step is to feed her. I swear, you forget the most important things sometimes..." She explained. Eliza moved to the other side of the bed, looking at Ace. "Good, it's not too late you numb skull." She sighed. Her eyes moved back to Casper, a mixture of love, along with disbelief in her gaze. Casper narrowed his eyes and suddenly got up. He looked coldly at his sister. He gently grabbed her hand and pulled her closer, whispering in her ear. "Do you think I'm stupid? I've done what is needed. It's up to time now. And don't pretend like you care for her. I know that all of you hate her and blame her for this sudden move out. So stop acting because, my dear sister, I can't stand this stupid games you and Tempest play around. Now be a smart girl and leave Ace's room." His voice was calm, yet unfriendly. The man let go of her and once again pierced her with his deep blue eyes. He was quite unpleased. He also felt not on place in the new area and seeng his friend dying and knowing that he could do nothing about it, made the king suffer. He knew very good that no one in this clan felt right since they arrived but they were going to get used to it. That involved his stubborn little sisters too. Right now he was too busy taking care for Aceline. Casper did not let anyone around her, except Aiden, who he hasn't seen for ages. However, he knew the dark haired boy will return. Eliza narrowed her eyes at Casper. "I was only trying to help, idiot." She hissed. She stood up, brushing off her black dress. She stalked to the door, anger coming off her in waves. She opened the door, and went half way through it. She looked back at her brother. Despite trying to look angry, tears were in her ice blue eyes. "Might as well take her for your queen as well. You obviously don't care about me anymore. It's always Aceline this, and Aceline that with you. I wish we never found her in that village. You might still care for your sister if we hadn't." She half hissed half sobbed. She went out into the hallway, slamming the door. The second it was shut, Eliza rushed to her personal room and threw herself on the bed. The door remained wide open. She started bawling, ruining what little make up she had on. Hurt and distress went through their bond to Casper. Not a single bit of anger was detectable. Her white hair sprawled out around her, as she whispered why? to herself. Raizil after putting her things in the room, she came out to see Eliza coming from the room where Aceline was crying. 'oh brother, what has happened now.' she thought to herself. Raizil actually like that they moved. She loved the new territory because it was bigger. As for the human girl she didnt really feel any hatred towards her like most of the clan did. She sighed and went to the room where the girl was held. Raizil walked through the door and saw Casper kneeling by the girls ride. "Hey Cas, how is she doing." Raizil asked with real concern. To Rai no matter the circumstamnces no human deserved the pain and suffering that this human was going through. She hoped for the girls sake as well as Casper's that Aceline made it through. Dylan felt a sudden spark of warmth egnite on his cheek as Tempest kissed it softly, a feeling that spread through his body and made his heart jolt pleasantly. He really did love the way she made him feel. Taking hold of her hand in his he made no restraint when Tempest began to pull him along the corridor and down the curving stairs. The musty smell of the old structure caught in his throat every now and then, and the small specks of dust that coated the air tickled his nose and caused him to sneeze a few times. In response to the princesses question the man emitted deep, rumbling chuckle that echoed of the walls, and squeezed her hand gently as he pushed open the front door. "Where ever you go I will follow." He replied, stepping out into the small patch of shade that covered the steps in front of the mansion. Aiden stared up at the mansion with dead eyes. Everything was new here. Everything. New discoveries lay hidden around every corner, new land to purge and map sat mere metres away from where he stood. This was a chance for a new start, for a new life. So why did he feel so hollow inside? The answer was clear, it had been clear from the very moment Aiden had discovered what had happened to Aceline, but he refused to acknowledge it, not now, not until the answer to her survival became clearer and more certain. Placing his hand on the cold wood of the entrance door, the young man pushed and watched as the doors swung open before him. Not bothering to survey his surroundings the dark haired male started to wander along the corridors, entering this room, exiting that one, until he reached the room he had been looking for. The kitchen. They had brought a small amount of human food with them, for Ace of course, but her refusal to eat meant some of it was beginning to rot away in its package. Discarding of the foul and inedible food, Aiden spread out what was left in his bag on the table. He might as well try and test her appetite again, after all, what harm could come from it? Grabbing a plate Aiden distributed an array of olives, cheeses and breads onto to plater before collecting a glass of water to accompany it. Leaving his bags and belongings where they lay, strewn across the floor and tables, Aiden made his way back to the hallway and lumbered up the stairs. Using his judgment the vampire directed his travel to the room in which there seemed to be the most activity, and sure enough found himself entering the room in which Aceline rested. There were only two others in the room. Casper and Raizil. Bowing his head in greeting to his fellow Clanmate and leader, Aiden walked over to join Casper at the side of Aceline's bed, his tread swift and soundless on the wooden floor. Setting down the plate and glass on the small bedside table that sat next to the bed, Aiden knelt down so that he was more at eye level with the sick girl and reached out his hand to brush away a lock of hair that had fallen across her face. Even before his hand made contact with her skin he could feel the heat radiating off of her body, and he could see a single drop of cold sweat bead on her forehead before it snaked down the side of her face. Aiden could barely stand to see her suffer like this, it physically pained him to see the state she was in, but he had to do what he could to help her, he couldn't let her die. He couldn't. "Hey Ace." He whispered softly, his eyes never leaving her face. "How're you feeling?" He asked, not really expecting her to reply, just enjoying talking to her. Raizil turned her head when the door opened to reveal Aiden. She dipped her head in a return greeting. She felt sad for the vampire. He was another vampire that she had come to like besides Casper and Eliza. Here he was watching the one he cares about slowly dying. That would tear even the coldest man's heart. Tempest smiled when she heard Dylan sneeze, she thought it was so cute. 'well looks like we have some cleaning to do one of these days.' she thought absently. "Alright then. I say we go somewhere where few would be able to find us, Lets go to the crystal scar." She said and took off towards there, flitting at high speed. "Race you!" Tempest called out already when she thought she had a good head start. Casper did not even look at the queen. He was disappointed of her, of everyone. He didn't want to see them nor hear anything from them. The little drama performance of his sister was weak and did not impress the king at all. He turned around and once again sat on the bed, by the human girl. Her eyes seemed darkned and sad. That is why Casper hurried to comfort her and make the stress and sadness disapper from his suffering friend. Soon the werewolf girl entered. His eyes, cold as ice, pierced her, thinking it was Eliza again or Tempest. But seeing it was none of them, his look softened. The boy swallowed nerveously and just shook his hand for a negative answer. It was useless to lie himself and the others. It was obvious that Aceline was not alright. Each day of her life turned into a fight for her own survival. He didn't want that to happen, but he couldn't prevent the moving. At least not without risking the clan's life. Soon Aiden joined them too. He got near the bed and kneeled beside the dark haired girl. Casper stayed put, before gently placing Ace's hand on the soft bed and getting off of the bed. He decided to leave the vampire and his friend on their own for a second, since they haven't seen eachother for a long time. The young king turned around and together with Rai left the room. The door was closed gently, without making any noise. Suddenly he leaned on the wall and lowered his head. His dark hair hid his face. "I am not sure if she will be able to survive this night. She can't eat, nor drink. The deseas became more serious than I thought." he shared his fears with his friend, making sure his voice was quite, almost close to a whisper. Eliza picked up her head after awhile. She had cried herself out. Wiping at her face, she sniffled. She got out of the bed, walking over to the mirror. She turned on the sink, wiping the make up off her face. She applied a new layer. She didn't even look like she had been crying, except for a few red spots that would soon fade. She smoothed out her dress, then walked out the door. She stopped for a few seconds outside of Aces room, gently touching the door. Shaking her head, she turned away. Using her ice powers, she made an unmelting ice heart. She engraved 'Good Bye' in it, the laid it on the ground. She then walked down stairs, and out the doors. She quietly closed them, trying to alert anyone to her. She sat on the ground, gaining back her strength from using her powers. After a few moments, she stood back up. Shakily, she walked away from the mansion, heading into the forest to her secret hideout. She had no plans of ever returning. Casper had his new Queen. In the far back bits of her mind, she knew she couldn't stay away forever. But this thought did not surface as she gracefully walked away from her supposed home. Rai's face turned into a frown when Casper told her that she wasnt doing good. Rai stepped to the girl and closing her eyes she placed her hand on the girls forehead, and concerntrated on her ice magic. She pushed it into her hands, and made Aceline a little colder. Rai did this in order to help the girl with her high fever. She then placed a comforting hand on Aiden's shoulder "I made the temperature of her body a little colder, Im sorry thats all I can do for now. The rest is up to her." She said and left with Casper, to allow Aiden and Aceline some privacy. Rai listened to Casper, and then she stepped towards him and took her fingers and lifted his chin up to look at him. Like he had done so many times to her. "Casper, all we can do now is trust in Aceline's will to fight. I havent known her long but the fact that she has put up with everything that has been going on, I know that she is strong. She will pull through this. I used my magic to help her with the high fever she had, but its her that holds all the cards." Rai then hugged Casper, "You did your job, now let her do hers, besides shes in good hands with Aiden"
Dylan smiled at Tempest and rolled his eyes teasingly when she suggested cleaning the mansion at some point. "Are you volunteering?" He chided lightly, descending the cracked stone steps and stepping out into the dazzling sunlight. Suddenly he felt somethingn whiz past him at great speed, and although he was confused at first, he soon came to terms with what was happening as the words "race you" reached his ears. "Hey!" He chuckled as he took off at a sprint as he followed in Tempest's wake. Aceline felt guilty about the fight which arose between Casper and Eliza. She tried to lift herself up and speak, but Eliza left so quickly and she was so weak that she couldn't even call the queen's name. She laid back down and closed her eyes for a bit. She was so tired and lifeless that she fell asleep. However, a familiar voice woke her up. Aceline suddenly felt a bit better when her tempreture was lowered. But the reason for opening her eyes was Aiden. His voice made the dark haired girl smile. Her empty eyes followed each of his movements before landing on his beautiful face. She enjoyed looking at his fine features that seemed drawn. He was like a picture. But unlike the picture, he was real and he was with her. Aceline recalled some good memories she had with the dark haired boy - the cherry blossom tree, the trick with the cards, the gentle hugs, the beautiful sunny day, the last day of her normal life. "I am ok." the girl could barely speak. Her voice showed clearly that she wasn't good at all, but she was trying. Soon when they were on their own in the room, Ace slowly tried to lift up, but ended colliding in Aiden't hands. She swallowed and took a deep breath. Lifting her hands slowly she managed to wrap them around the boy in a soft hug. ''Aiden..." she started, her voice trembling. "I... I... I love you." were her last words before her heart stopped beating. Her hands went down, breaking the hug as her lifeless body stayed in the dark haired boy's arms. She couldn't fight anymore. Aiden gaze shifted fleetingly to the werewolf girl as she rounded the bed and placed her hand onto Aceline's forehead. 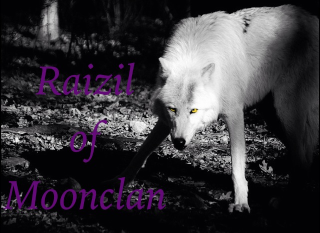 When Raizil had first joined the Clan Aiden had been extremely skeptical towards her, adamant that she was involved in a complex plot to eliminate the vampires from within and murder his clanmates. His idea of the girl had, however, since then changed as he had learned to trust her during her time in the Clan. He issued a slight nod in her direction as she placed a comforting hand on his shoulder, feeling his body relax a little from it's previously tense state. He was grateful for her kind gesture, and he was sure Aceline was too. He returned his golden gaze to Aceline's as Raizil moved away to discover that she was now looking up at him, her once bright and dazzlingly blue eyes now dark and empty. Nonetheless, it made no difference to the dark haired boy. Her heart still beat, there was still breath in her body, she was still alive, and he would do all within his power to keep her that way. He smiled gently at her, his eyes conveying the words that refused to emerge from his lips. Words that rattled his heart like a lion in a cage, straining to burst free but too fearful of the consequences. When she spoke her voice was rough and ragged, so much so he could almost hear the sickness that riddled her body in the few words that she had uttered. She was lying. That much was ridiculously obvious. But he was almost grateful for her words. It meant she was still fighting, struggling to survive, to break free. He reached out as Aceline tried to sit up, catching her swiftly as she fell and curling his arms around her in a soft embrace as she hugged him. He wasn't sure how long he sat there, hugging her close to his body, but his daydream was shattered as he heard Aceline whispering words softly in his ears. In that moment, he felt his heart might stop too. She loves him. She actually did. What he had done to deserve this girl to feel this way towards him he would never know, but that didn't stop his heart soaring a million miles into the air with joy. He felt he could take flight. But never before had the saying 'the higher you climb, the farther you have to fall' ever been more true. Aceline's body fell limp in his arms, all life faded from her features like a ragdoll. Panic seized his body and his hand flew to her neck as he frantically searched for a pulse. A pulse that was not there. "A-Aceline?" He stammered, grabbing her face in his hands and waiting for some kind of response. But none came. "Casper" he squeaked, his voice faltering as he tried to get the King's attention. Clearing his throat he tried again, this time emitting a roaring shout. "CASPER!" The desperation was clear in his voice as he lowers Aceline onto the bed, his hands trembling violently. This couldn't be the end. Raizil suddently tensed up. 'this feeling, one of us is near by.' she thought. "Casper I need to go and check something out. I'll be back later." She said giving him a small smile before she took off running through the mansion and out the door. She didnt hear Aiden cry out the vampire king's name. Once outside she sniffed the air and headed towards where the scent was leading her, to the forest. Casper's eyes widened a little as he felt Razil's arms wrapping around him in a gentle hug. He slowly wrapped his own around her and hugged her back. It was nice to have a friend beside you in hard moments like those. Her words also gave him a sparkle of hope which was going to keep him believe in the girl's will and strength. However, the werewolf girl soon left him and he was again alone in the dark, unfriendly hall. He took a deep breath reminding himself about Eliza. Thinking of the way he acted towards her earlier made him feel bad and he wanted to apologize. He took a step forward but before taking another he felt something strange. It was like something in him died. Not a second after that unpleasant feeling, the king heard Aiden's voice. The young man rushed in the room and stopped at the entrance. Suddenly his eyes filled with tears and his look became blurry seeing Aceline's lifeless body into the dark haired boy's arms. "Aceline..." he whispered as he crouched beside her bed. He took her hand in his and moved his palm across her face carefully. "No,no, no.." He repeated constantly as he held her arm tight in his palm. Suddenly he rised his head and gave out a loud yell. "NO!" his voice for sure echoed through the whole mansion even outside of it. His anger and sadness were mixed and so strong that without wanting it himself he made his siblings feel his suffer too. Is that the end? Is that everything? No, it couldn't be.